View all scores and recaps. Seven Open Class corps including San Diego's Gold competed for the first time this past week. Eyeing 80: The Blue Devils are off to an undefeated start to the season, and came less than two-tenths of a point from breaking 80 points on Sunday. But the Concord corps is off until Thursday while they travel to the East Coast, which may open the door for several other corps to break 80 points before them. Tight races at the top: Only 2.35 points separated the highest-scoring corps (Blue Devils, 79.85 in Riverside) from the 5th highest-scoring corps (Carolina Crown, 77.50 in Bowling Green) on Sunday. Last year, the difference between first and fifth at this time was nearly three points. The close race has been fueled, in part, by scores falling across the board. Last year at this time, the Cadets had a high score of 82.20, and four corps had already broken 80 points. Making key improvements: Several corps have put an emphasis on improving certain areas of weakness from last year and are already seeing results. Carolina Crown’s percussion section, which finished 7th at the World Championship Finals last year, is currently in 4th and only 0.3 points behind the Cadets’ high-scoring drumline. 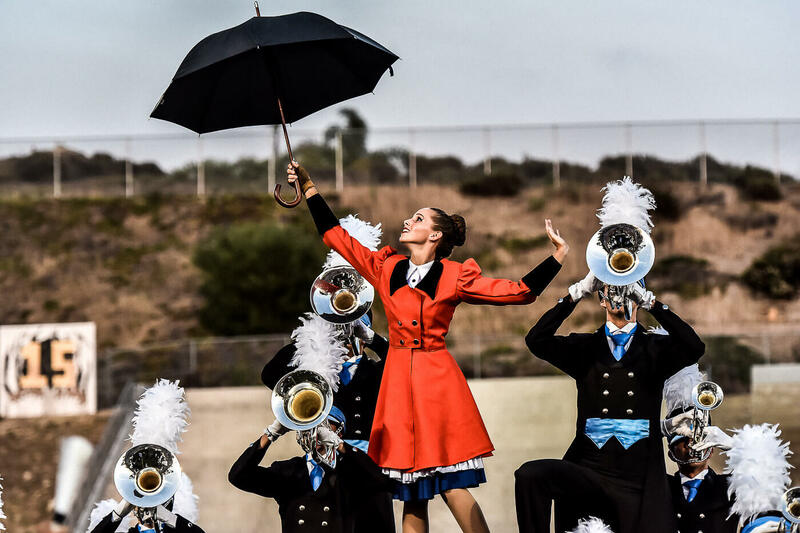 Santa Clara Vanguard’s color guard, which finished 6th last year, currently has the 3rd-highest score of the young season. 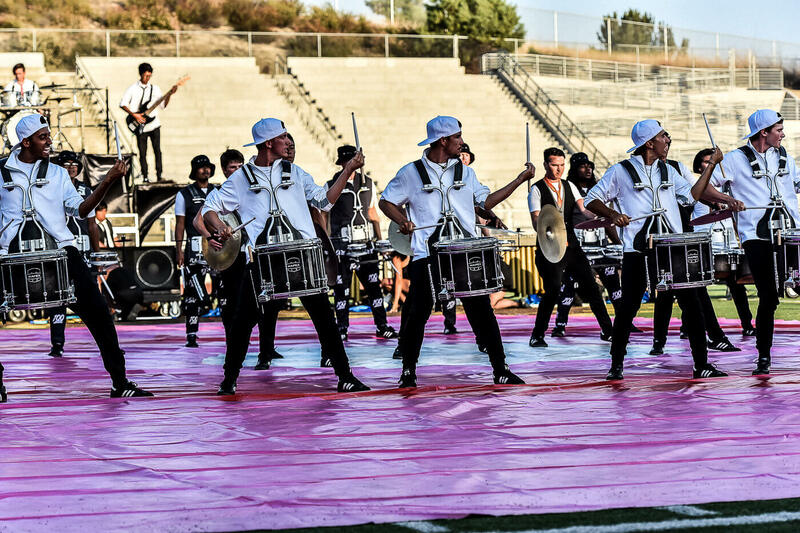 Regional rivalries continue: On the West Coast, Phantom Regiment and Blue Knights flip-flopped throughout the week, with the Rockford corps gaining a slight upper hand by the weekend. In the Midwest, two Wisconsin corps--the Madison Scouts and Blue Stars--met four times, with each corps winning twice. On Saturday, the Blue Stars opened a lead of more than two points on the Scouts, only to see it erased the next day as the Scouts made a quick 3.5-point improvement and topped the Stars by 1.4 points. 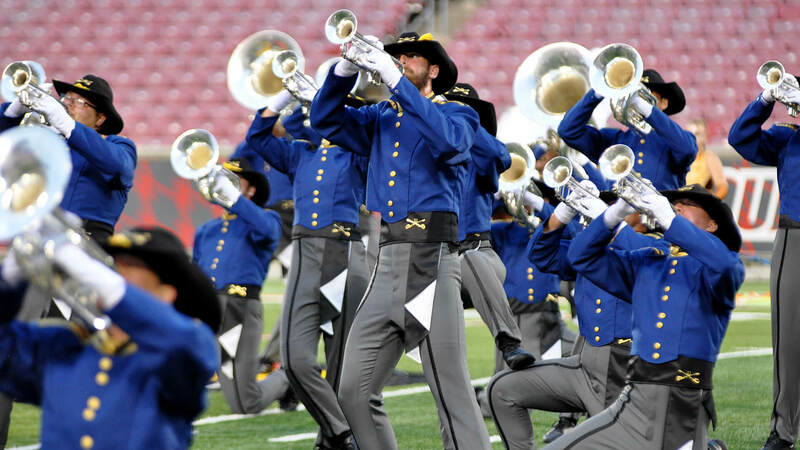 Wyoming rising: On Monday in Hamilton, Ohio, the Troopers defeated the Boston Crusaders by a tenth of a point. That was the first time the corps from Casper, Wyoming topped the Crusaders since August 10, 1996--almost 20 years ago. Open for business: Seven Open Class corps kicked off their season in the past week. Leading the pack were Legends (53.90 on June 28) and Genesis (52.00 on June 27), while Gold (50.15 on June 28) challenged Golden Empire--whose season winds down July 12 in Bellflower, California. Boston Crusaders, Pacific Crest, and Troopers had the next three highest average scores of the week. Stepping up to the plate: Ten corps will be making their 2015 debut this week, including Oregon Crusaders (July 1, Medford, OR), Columbians (July 1, Medford, OR), Jersey Surf (July 2, Foxboro, MA), 7th Regiment (July 2, Foxboro, MA), Spartans (July 2, Foxboro, MA), Cascades (July 2, McMinnville, OR), Eruption (July 2, McMinnville, OR), Thunder (July 2, McMinnville, OR), Music City (July 3, Rockford, IL), and Raiders (July 5, Clifton, NJ). The Academy will next compete June 29 in Mesa, Arizona. View the complete 2015 DCI Tour schedule.